Today is my stop on Kelly Young's Stash Statement blog hop and I'm thrilled to present Beach Retreat! Kelly's Beach Retreat uses a beautiful and calm palette of light blues and light browns which makes me think of sea glass and sandy beaches. I wanted to go in the opposite direction and create a color palette that is energetic. I debated a bunch of color combos before deciding on 2 of my favorite colors in a complementary setting: blue and orange. I created the "raw" fabric by using one of Kelly's methods of improv piecing. It is both liberating and kind of scary to just start sewing instead of cutting them into precise shapes. In fact, I ditched the rotary cutter completely until the very end when I squared the blocks up. I definitely felt more confident as I made more blocks, though! But once the improv fabric is done, the blocks were super easy and very enjoyable. I love how the improv blocks set in a traditional fashion gives this quilt a perfect combination of order and chaos! When I was trying to decide what to quilt, I saw these pinwheel patterns show up in the negative space between the blocks, and I wanted to do something fun with it. I used a lot of straight lines, a lot of swirls, and a lot of pebbles. To me, background fillers are critical to the final look of the quilt. In the foreground area, I thought that it sort of looked like butterflies. I didn't want to actually quilt it to make it resemble a butterfly as it was still a bit of a stretch, but with the butterfly motif in mind, I added some feathers and ferns. I really enjoy this approach to improv, and I couldn't be more pleased with the results! The quilting was like one big happy gathering of all my favorite designs. Thanks for visiting! Here is my kickoff post with the full schedule. Be sure to visit the other stops in the hop. There are a lot of improv goodness around, and because all our fabrics are different, no two quilts are alike! Wow, it's really fabulous! I love all the different fabrics mixed in it, and the quilting is beyond amazing. I absolutely love your version of this pattern! The quilting is just amazing and you're right, I definitely see the pinwheels! I can definitely see the butterflies, too! Beautiful quilt and finish. Your quilting definitely elevates the final design. Beautiful interpretation of the design. Your quilting is exquisite. Wow! I love this quilt, and your quilting decisions are spot-on. Congrats on a wonderful finish. Another gorgeous quilt! 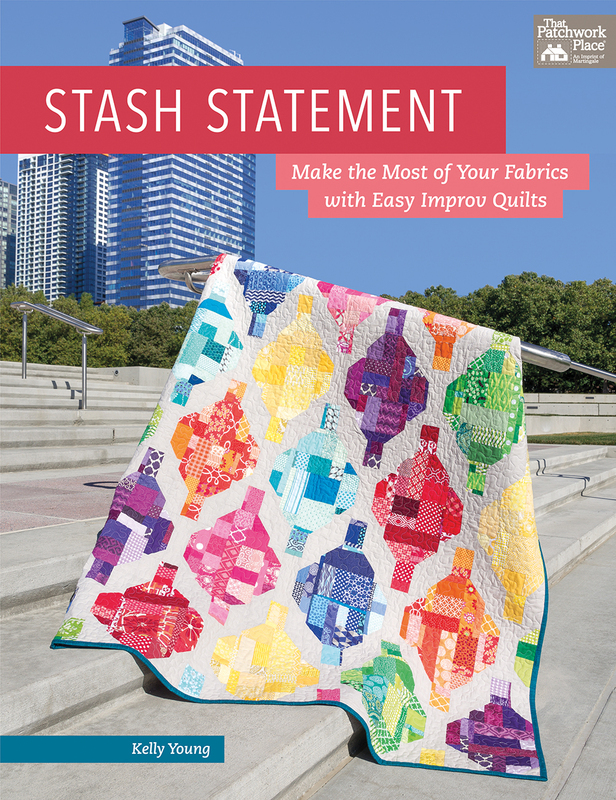 I am loving these stash statement quilts - I see one in my future! Love your quilt! And the quilting is wonderful! Beautiful! I love blue and orange together, too. Your quilting is, as always, fantabulous, and I especially love the ferny motifs. That serpentine shape comes easily for me, but I never thought to use it like a feather with a central stem. Thanks for the inspiration and all the eye candy! Your version of the Beach Retreat quilt is absolutely stunning. Your quilting designs really set off the pattern, and I love your bright colors! 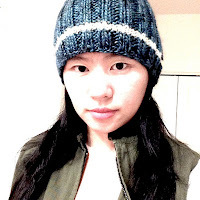 Thank you so much for helping me launch my book by participating in the blog hop! 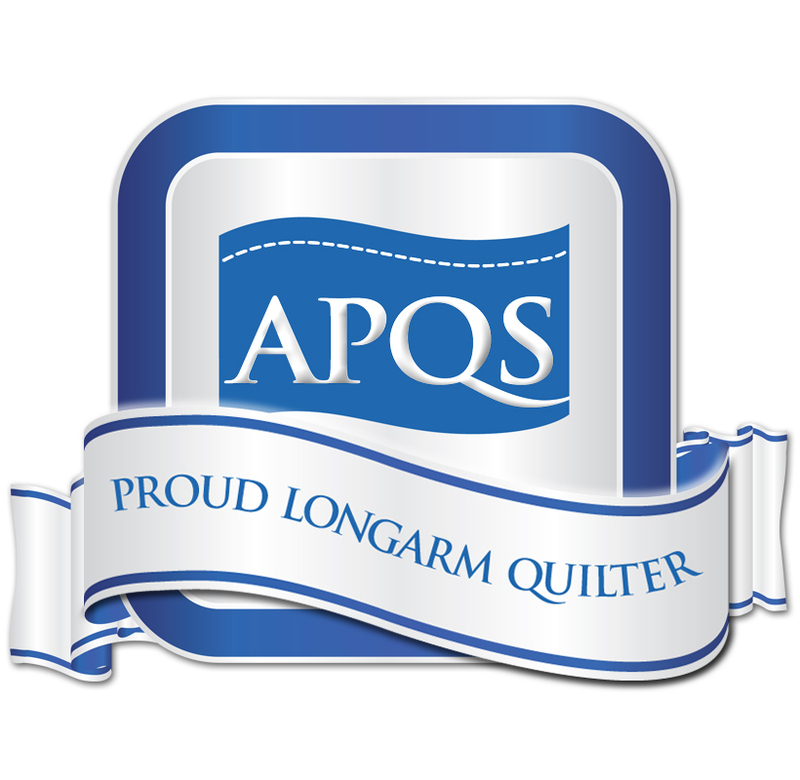 That's the perfect quilt design to highlight your great quilting skills. Beautiful! Love this quilt - very striking! Beautiful! I can see the inspiration for the butterflies in the quilting. What a neat quilt, Liz!!! Love your colors! Pinwheels, butterflies, swirls and all! Stellar quilting. Oh Liz, your quilt is beautiful!!!! And the quilting is spectacular! Great color combo, fun quilt, and AWESOME quilting!!! WOW (Wonderfully Out of the World) Quilting! You never cease to amaze me with your quilting. I love how you see the spaces in the quilt. You did this blog hop proud! Love your colour scheme. It's a great pattern. oh this is lovely! I like how your blocks enhance the quilt design so well, but then your quilting! Just over the top! Very nice!! Gosh! I'm in awe - those colors and the QUILTING! It's a stunning quilt! I love the way you've varied the quilting in the blocks, the sashing and the background.